The weather is finally getting chillider and everybody is pulling out their coats — it’s winter! This not only means hot cocoa and the potential of snow, but it’s also time to make sure you use the best ingredients for cold weather in your skincare products. Ingredients to look for are: hyaluronic acid, ceramides, shea butter, nourishing botanicals and amino acids. Here are four products that pack the punch. Dry, dehydrated skin is a sign that your skin is having trouble retaining the moisture it’s receiving. Since humidity drops in winter, boosting your skin’s moisturizing capabilities becomes more essential to healthy skin. Oils help keep water in our skin by forming a barrier water cannot cross. 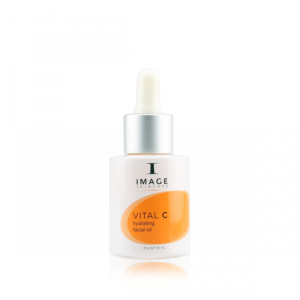 VITAL C Hydrating Facial Oil is a light weight oil infused with botanicals that helps reinforce your skin’s natural lipid barrier. A rejuvenating blend of sea buckthorn, moringa, and grapeseed oil help to visibly brighten tired skin. Grapeseed oil has an extra advantage in that it quickly hydrates chapped skin for a soothing effect. Also, argan and avocado oil are powerful skin conditioners which soften skin while preventing moisture loss. To really help your skin fight against winter dehydration, there is also squalane in the formula. Squalane is naturally present in your skin’s lipid barrier, and this extra boost not only helps that barrier, but also restores flexibility and suppleness. 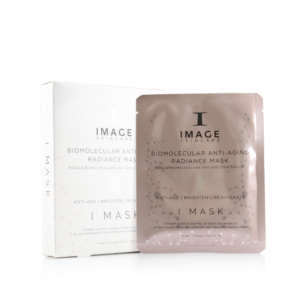 I MASK Biomolecular Hydrating Recovery Mask is a next-generation mask made using a unique hydrogel technology. The mask itself is breathable for comfort, but also designed to trap moisture and push hydrating ingredients deep into the skin. The key player in the mask base is an amino acid complex which is a blend of essential and non-essential amino acids. For a quick biology brush-up, essential amino acids are those your body cannot make on its own and non-essential are those your body can make on its own. However, stress and other factors can affect your body’s ability to make non-essential amino acids. Why are these molecules so important? Amino acids are the building blocks of peptides, which are molecules that signal our bodies to undergo certain processes, such as collagen synthesis. Amino acids are also an important part of our skin’s Natural Moisturizing Factors (NMF). While all twenty amino acids are amazing, there are a few that are really beneficial for skin. One amino acid in our formula is Lysine, which helps visibly firm skin’s surface. Also, leucine and proline are known to diminish the look of fine lines and wrinkles. Next, Methionine neutralizes damaging substances before they can harm skin, and damaged skin shows through the visible appearance of fine lines and wrinkles. 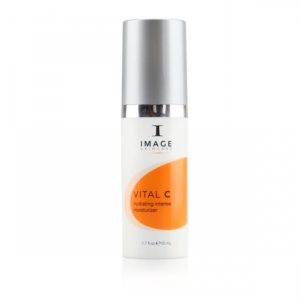 If you find yourself feeling like your skin is unusually dry, VITAL C Hydrating Intense Moisturizer is an emollient creme geared towards those with uncomfortably dry, dehydrated skin. Hyaluronic acid is not only the gold standard of hydrators, but it’s also the MVP in our moisturizer. 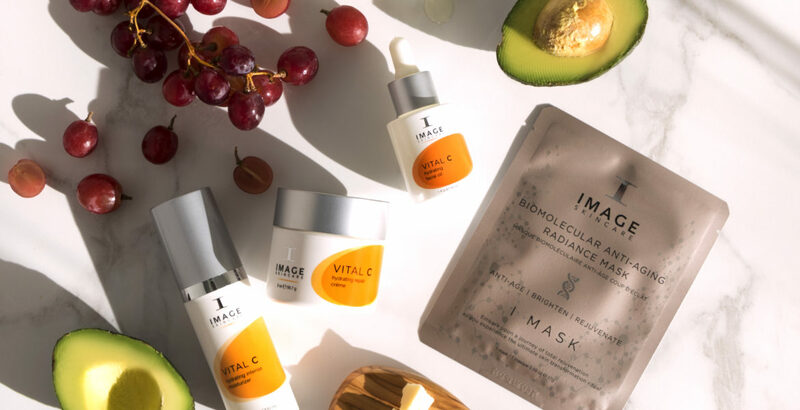 The miracle molecule is naturally present in your skin and can bind a thousand times its weight in water molecules, getting to work instantly and pulling water molecules from the air into your skin. Unfortunately, hyaluronic acid concentrations decline in your skin as you age. But thankfully, you can supplement these with cremes and moisturizers. Another key player in our moisturizer is shea butter. Soft and supple, shea butter helps keep moisture levels steady while also softening skin. If you have sensitive skin, there’s no need to worry — our moisturizer is physician formulated with sensitive skin in mind. 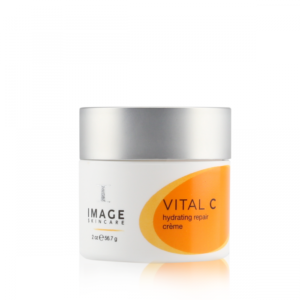 A rich, reparative creme, Vital C Hydrating Repair Crème was made to combat irritation due to dry skin. During the winter months, the wind can be harsh on your skin, leading to redness and uncomfortable irritation. While you may not have needed a thicker creme during summer, using a richer product can help protect against the biting cold and nipping winds. Since our product is designed for maximum moisturizing and hydrating powers, there’s a whole slew of powerful, beneficial, and natural ingredients in the formula to shield your skin and keep it healthy and hydrated. First up are ceramides, which are lipid molecules found in our cell membranes. They help hold skin cells together, like a glue, which form a shield to retain moisture. Since harsh winter weather can accelerate the loss of natural lipids, fortifying your skin’s natural barrier is important to protect it from harm. Ceramides help build the barrier and protect from moisture loss. Of course, there’s also hyaluronic acid, arguably the best hydrator molecule. This super-team helps keep skin moisturized even hours after application.